ADN Galeria in Barcelona inaugurates the third solo exhibition at the gallery of Kendell Geers. Already back in 1993, the artist changed his date of birth to May 1968, giving birth to himself as part of a worldwide social revolution. On April 6th, the day of the opening, the artist himself will explain his work to the public. 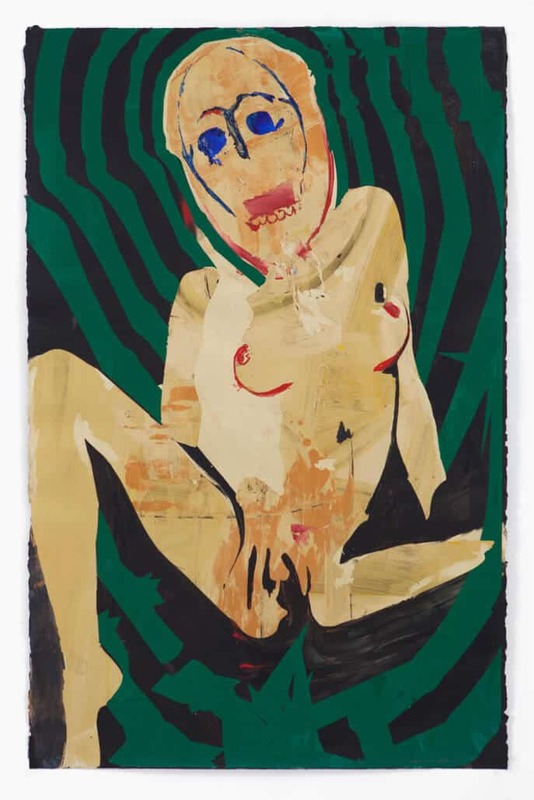 Kendell Geers, Masking Tradition 7686, 2019. Acrylic on paper, 66 x 102cm. Unique piece. All images courtesy of the artist & ADN Galerie. The exhibition takes, as its starting point, the eponymous 1637 quote by René Descartes “I Think Therefore I am,” recast into the logic of the contemporary moment. The Cartesian logic that once ruled the world has however since fallen to the wasteland of newspeak, now dubbed fake news. Around the world politicians are capitulating in favour of the highest bidder, selling their souls for a quick fix. If we do not lower the temperature of the planet by 1,5 degrees Celsius in the next 12 years, climate change will accelerate beyond the point of no return. 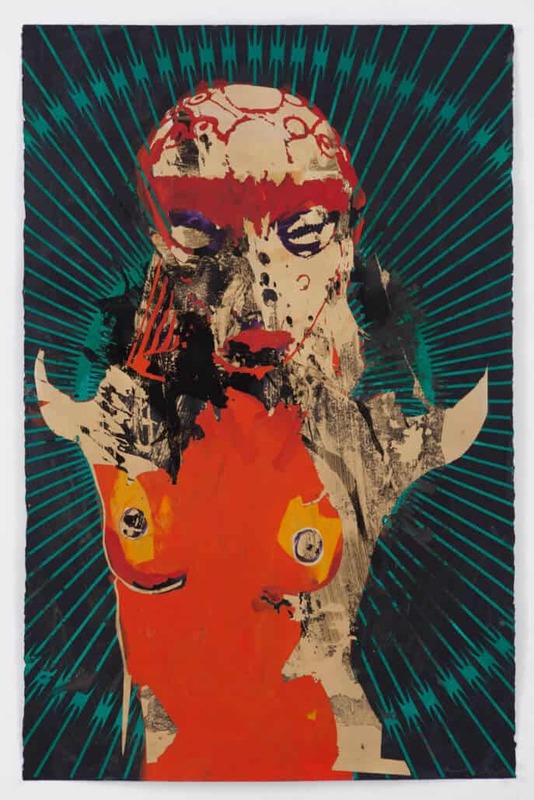 Kendell Geers, Confession of the Flesh 7687, 2019. Acrylic on paper, 66 x 102cm. Unique piece. Throwing Descartes to the hounds, Geers says Now is not the time to think it’s time to ProTest. His third solo exhibition at ADN Galeria is aptly called “I PROTEST THEREFOR I AM” and it’ an artist’s call to arms. A trickster and storyteller, artist and magician, Kendell Geers throws in a hashtag and rolls his tongue over the letters, smoothing them into a single invented word #iPROtesttHEReforeIam. The capital letters transform into signposts towards the contradictions of a protest exhibition in a commercial art gallery. 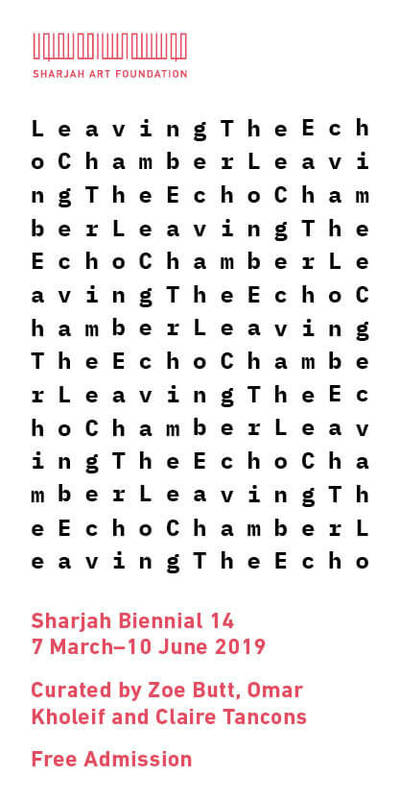 Hashtags, words, letters, memes and slogans fill the endless columns of Social Media, reduced to empty signifiers as everybody wears camouflage and everybody is a seasonal revolution. The small letter “i” that once referred to the individual, who thinks there she is, has been stolen from the consumer’s hip pocket and branded as a corporate trademark. Burroughs explained, “The junk merchant doesn’t sell his product to the consumer, he sells the consumer to his product. He does not improve and simplify his merchandise. He degrades and simplifies the client”. Kendell Geers proTESTS our sense of reading, understanding, semantics and symbols, freely plucking the fruits from the forest of every ripening protests. His manifesto reads “Art Changes the World – ONE PERCEPTION AT A TIME” and that is exactly what the exhibition will do to the viewer who takes the time to give space. Describing himself as an ‘AniMystikAKtivist’, he takes a syncretic approach to art that weaves together diverse Afro-European traditions, including animism, alchemy, mysticism, ritual and socio-political activism, and is laced with black humour, irony and cultural contradiction. In the spirit of the archetypal trickster, Geers uses his experiences as a white African like a skeleton key to unlock our understanding of history, culture and identity. 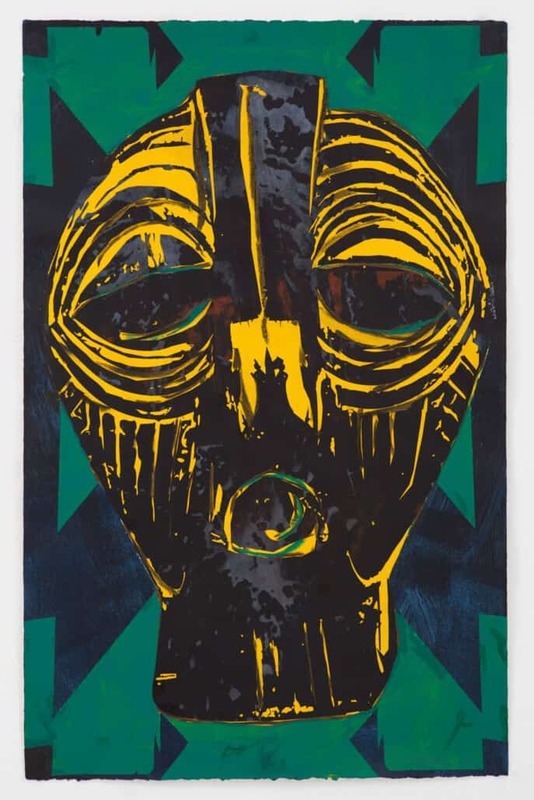 His work locates itself between tradition and the contemporary, a white African as deeply influenced by the powerful legacy of traditional African art as he is by the European avant-garde movements, from Dada and Surrealism to punk and Situationist International. 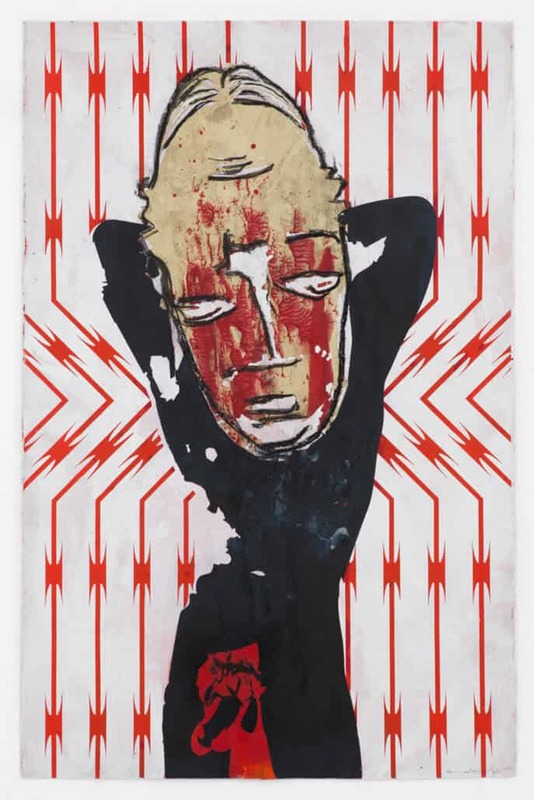 Spiritually charged, politically poignant and socially engaged, the work of Kendell Geers cannot be categorized as either European or African but is rather a prolonged metaphysical dialogue between cultures, archetypal signs and sacred symbols. 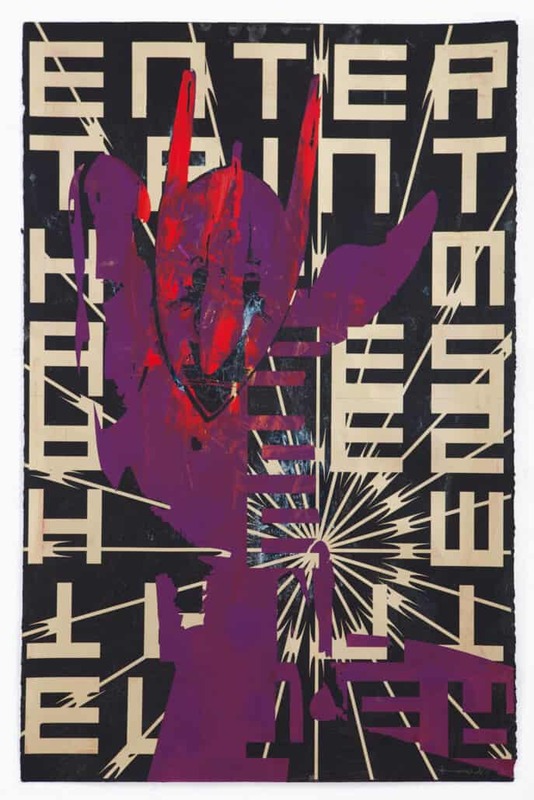 Kendell Geers appeared on the international art scene at the end of the 1980s and since then his work has been presented at biennials and institutions from around the world. 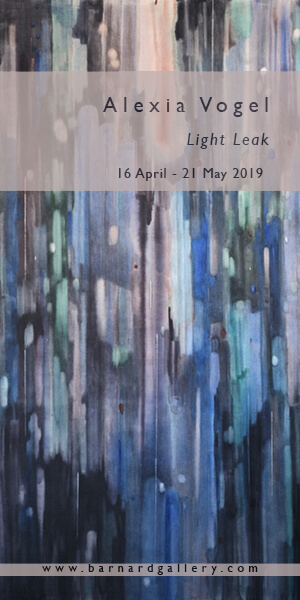 He was one of the artists who represented South Africa at the Venice Biennial in 1993, the first multiracial and multicultural international exhibition to mark the end of the Apartheid era. He presented his work in both Okwui Enwzeor’s Documenta 11 as well as the most recent Documenta 14. He has presented work on the Taipei, Havana, Venice, Johannesburg, Kwang Ju, Sao Paolo, Shanghai, Istanbul and many other Biennials around the world.